The popular spa town of Harrogate is just a short drive away and offers plenty of great places to eat and drink as well as the beautiful Valley Gardens and the Stray. A local pub is only half a mile away in Burnt Yates. Local attractions include Ripley Castle Mother Shiptons Cave and the amazing rock formations of Brimham Rocks. You could explore Knaresborough Castle and Almscliffe Crag or visit Pateley Bridge home of Englands oldest sweet shop and the fascinating Nidderdale Museum. There are plenty of opportunities for fantastic walks through the Nidd Gorge the Nidderdale Greenway and Yorkshire Dales. Also within easy reach are the vibrant and historic cities of Ripon and York. This lovely single-level mews property built by the owner is accessed via five steps from the roadside or seven from the sloped parking area. On entering you will find yourself in the tastefully furnished and welcoming lounge. With comfy seating TV and DVD the lounge is an ideal space for relaxing in and features a balcony offering superb views of the landscaped gardens and a stream which is a tributary of the River Nidd. Theres also a selection of books games and DVDs. You will also find a lovely dining room and a stylishly designed kitchen which is fully equipped with an electric hob and oven microwave and fridge/freezer. 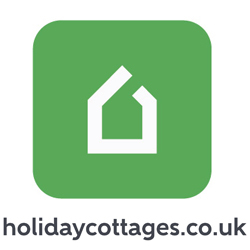 Exploring this lovely cottage further you will find two cosy bedrooms - theres a double room with river views and a spacious single room. Both beds have electric blankets. You will also find a bathroom complete with a shower over the corner bath and a WC. Stepping outside you can unwind in the pretty garden which has garden furniture and a BBQ area and is situated close to the stream. Off-road parking is available for two cars. Please note the owner is on-site in a self-contained basement apartment and you will have access to the owners automatic washing machine and tumble dryer.